Thanks for listening to the CRG Channel on the EKT Interactive Oil and Gas Podcast Network. 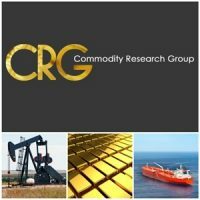 Commodity Research Group (CRG) is an independent research consultancy specializing in base and precious metals, as well energy products. The Group provides research and general price analysis for these markets, along with advice to companies seeking to construct hedging strategies. In this podcast, Andrew Lebow and Marty Stetzer discuss EIA numbers, as well as a quick overview of the current oil market. Andrew Lebow has been involved in the energy derivative area since 1980. 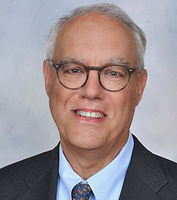 He began his career with Shearson Lehman Brothers where he worked in the initial formulation and marketing of the NYMEX WTI crude contract in 1983 as well as the NYMEX gasoline contract in 1985. Mr. Lebow has appeared before the State Government of Alaska as well as the State Department of Defense to discuss hedging techniques. Mr. Lebow is also well known as a market analyst and is quoted frequently in the financial press. He has appeared on television on CNBC, NBC, CNN, CBS, and PBS. Mr. Lebow holds a BA from Lafayette College and an MBA from the Kellogg School of Management at Northwestern University. companies since 1986, including 13 years with PriceWaterhouseCoopers. He brings 18 years management experience with Schlumberger, Superior Oil-Mobile, Wilson Industries and Exxon. Marty has worked with numerous national and international oil and gas company managements to help improve business performance across upstream, midstream and downstream operations. Like many of the team, Marty is active in the Society of Petroleum Engineers and often presents at industry forums.